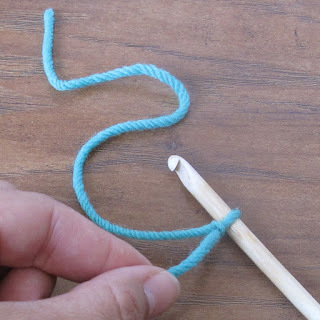 We might as well start at the very beginning, because someone somewhere will be searching online for how to get started. 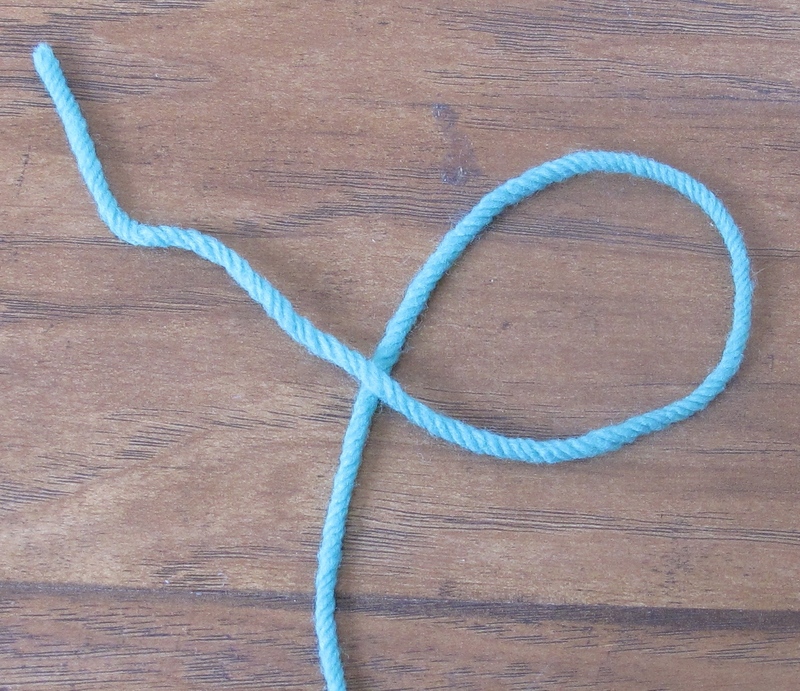 Form a cursive letter 'e' with the end of the yarn. Reach your fingers or hook through the center of the loop. 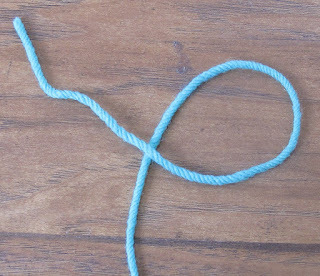 Pull the long end through the loop. 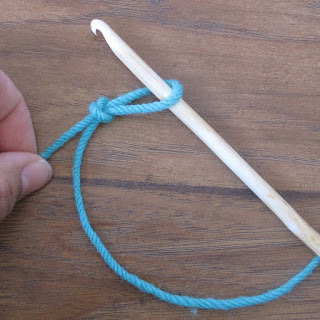 Insert your hook into the slip knot. Pull it snug, leaving an end several inches long to weave in later. 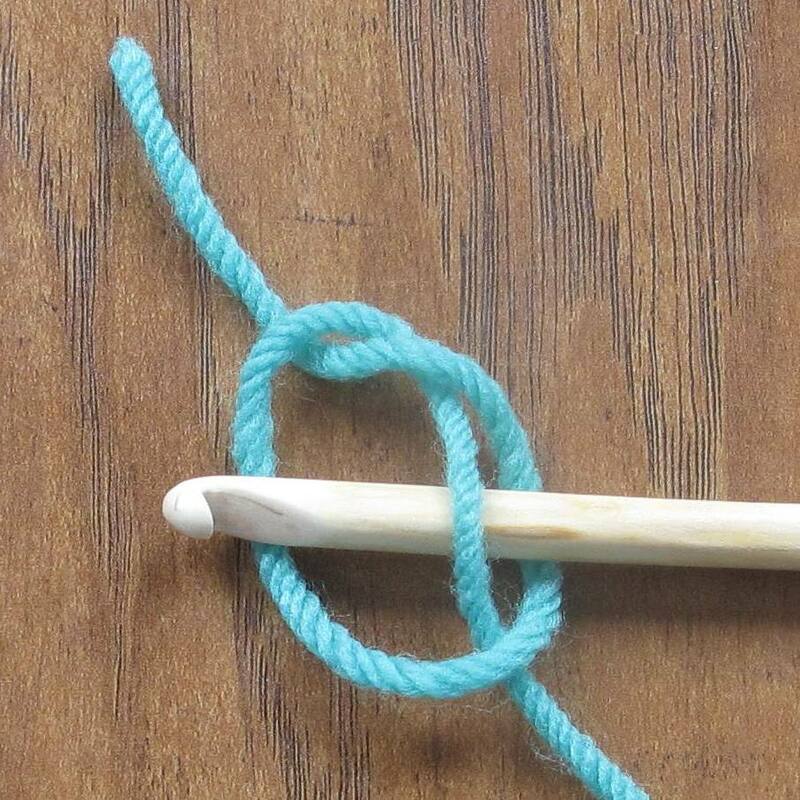 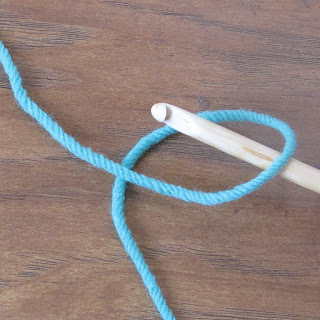 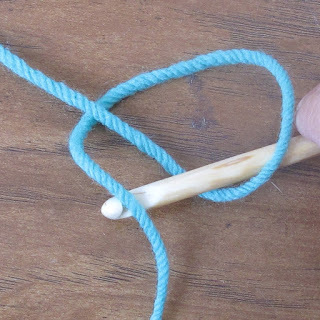 *Note: the adjustable end of your slip knot should always be the one attached to the skein. Next Week: How to Make a Chain and Working Into Chains!